According to Bureau of Labor Statistics, a 20% increase in Certified Nutritional Coach (CNC) jobs is expected by the year 2020 due to the increased interest in the role of food, how it promotes health and wellness. This is particularly true in preventative healthcare and medical settings for illnesses such as diabetes and heart disease. 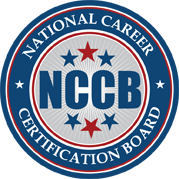 Successful completion of the National Career Certification Board’s (NCCB) Certified Nutritional Coach (CNC) exam will illustrate that as a professional, individuals are fully prepared to take a practical approach to nutritional planning that adheres to the client’s budget and lifestyle.